This is an 8-pack of Shortbread Cookies. But don't let the word "bread" scare you. 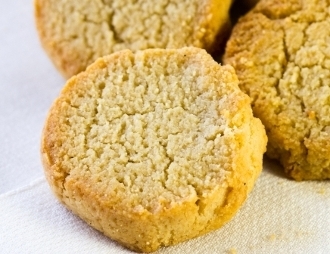 These wheat-free almond flour cookies offer a delicious buttery flavor with just the right amount of sweetness. This is a do-over of an old favorite - minus the wheat, minus any added sugar. Try these with a dollop of whipped cream and try to tell us that wheat-free living cannot be delicious!